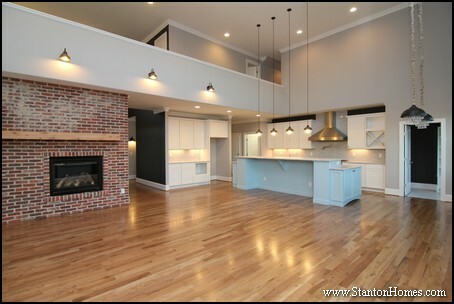 These floor plans keep the kitchen open to the great room, with great big islands and tons of space for seating. A breakfast area divides the kitchen and great room into separate "areas" that maintain an open flow across the downstairs. Transom windows form a wall of natural light, dark stained wood beams add a touch of rustic farmhouse design, and a large rectangle island provides casual seating in the kitchen. The granite counter top extends past the cabinets, creating a "hidden" space for island stools. 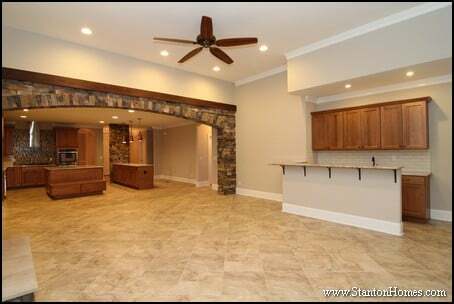 This open floor plan flows from the barrel vault foyer into the kitchen, breakfast, and great room. 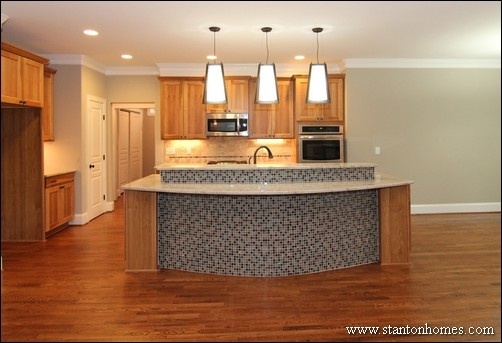 Notice the custom "X" trim details on the island and cabinets? Round out your rectangle island, with a curved side facing the great room. This island has a raised bar in the center - perfect for hiding the sink, creating an eating bar, and acting as a serving area. 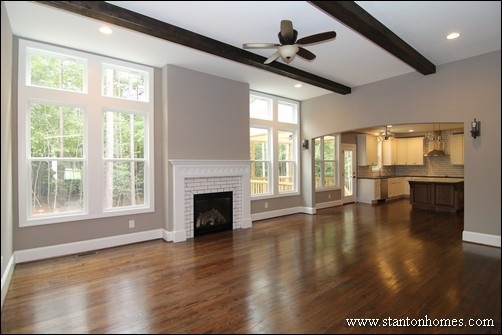 Looking for a floor plan with just a bit of separation between the kitchen and great room? These wainscot columns do the trick! An overhang leaves space for kitchen stools, while still making it easy to access the island storage cabinets. The seating as this blue island is bar height. Similar to the Arcadia island, the counter tops wrap on two sides, forming around the raised bar area. What's the best ceiling height for a great room? Find our here. 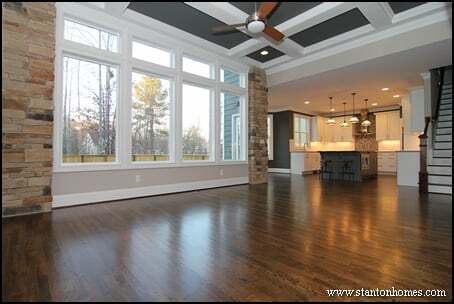 Get ideas for how to divide your space efficiently and elegantly, with an open kitchen/great room layout. 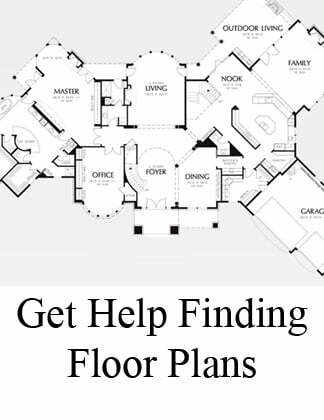 Floor plans with an open layout are designed to maximize the utility of kitchens, great rooms, and surrounding spaces. 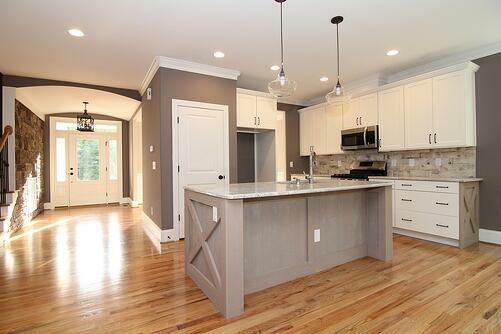 This open concept kitchen offers casual dining at the island and the tucked-in breakfast nook. While many traditional floor plans place the breakfast area between the kitchen and living room, this open plan flow directly from kitchen to great room. This open concept layout includes three separate countertop centers - two islands and a separate living room wet bar. The completely open plan makes this a fantastic entertaining space - designed to keep guests moving between hubs. A full-length seating bar at the island was added so that kids could do their homework in the kitchen during meal prep times. 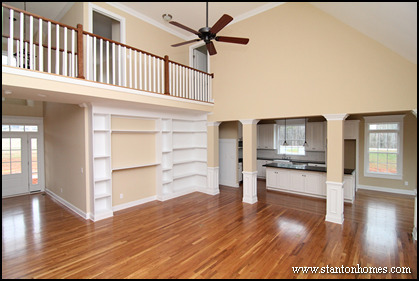 The great room built ins are designed for a piano to fit inside, for at home lessons. 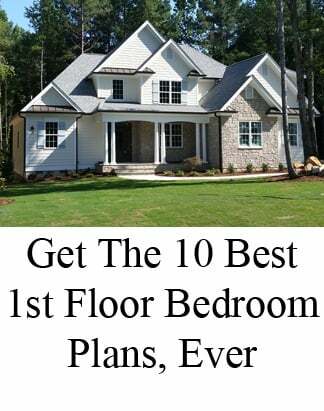 See an ideabook of Raleigh new homes that feature an open concept layout with integrated kitchen and great room - click here. 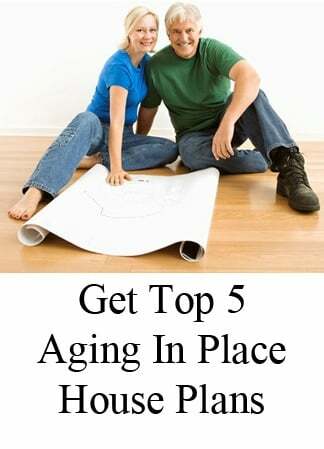 What Raleigh new home floor plan elements are most important to you? 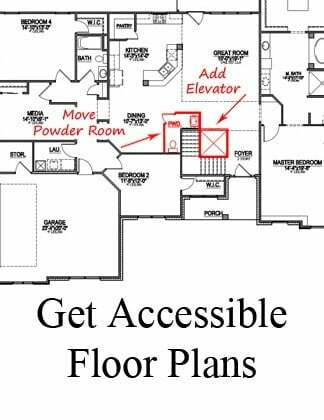 Tell us what you're looking for, and we'll show you how to build it - with recommendations for floor plan features and selections that fit your budget.